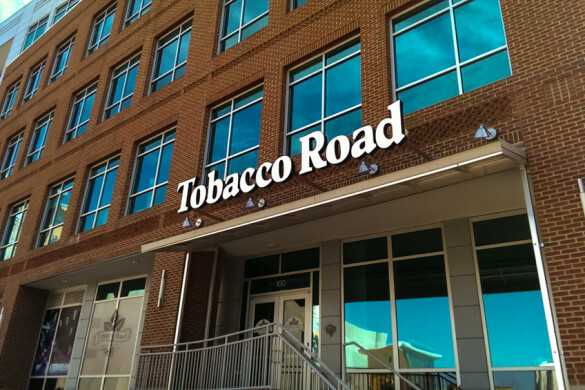 This article was originally featured as an On The Road review from the Charlotte Burger Blog on October 30, 2013. For the North Carolina State Fair, of course! 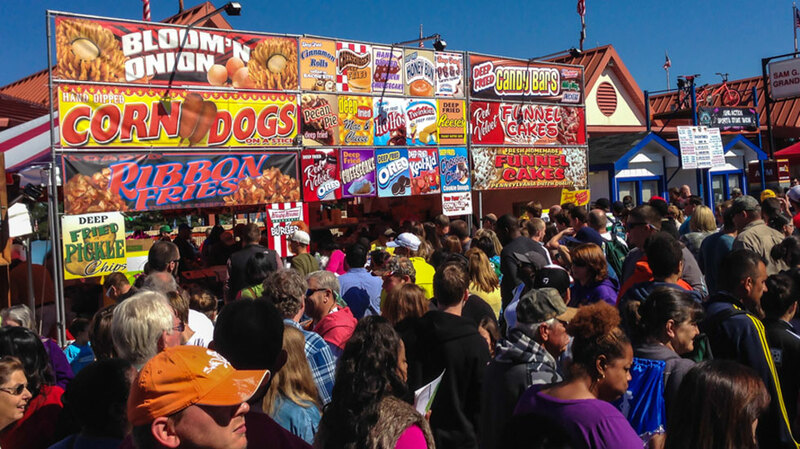 I am a fair junkie and the Fall and Spring times of the year are the best times to find a fair or festival that you can go to. 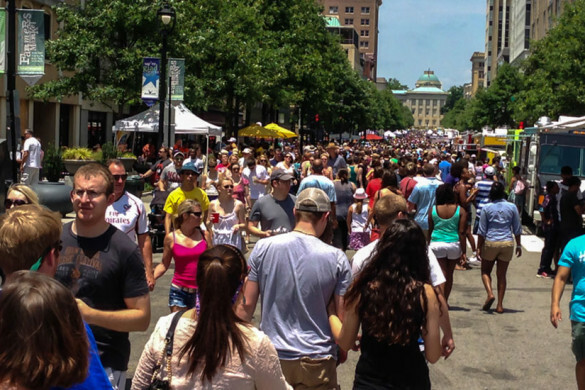 They all range from apple to beer fests and from local art fairs to city wide festivals. 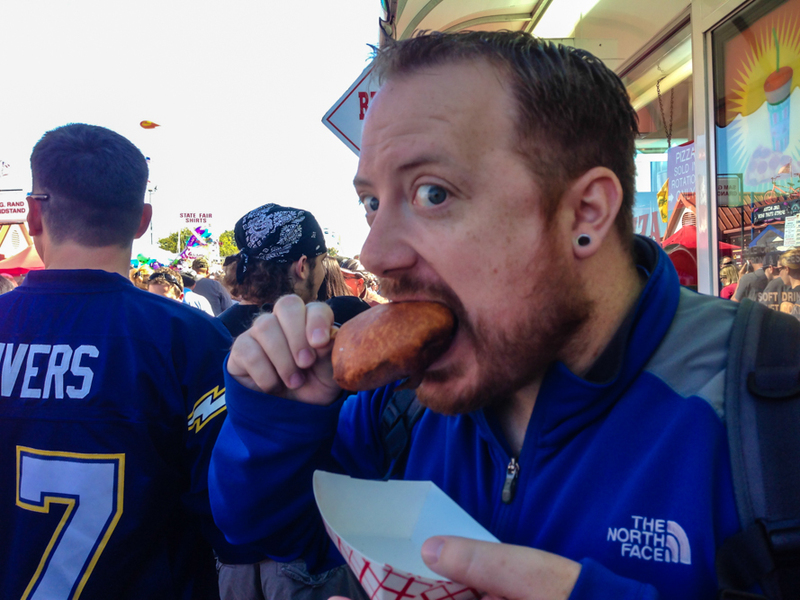 There are plenty of them across our state but none of them are as big as our own State Fair. Why are you so into fairs/festivals? I am not sure why. My wife and I love to travel and experience new things and so I believe that we use fairs and festivals as an excuse to ourselves to do that. 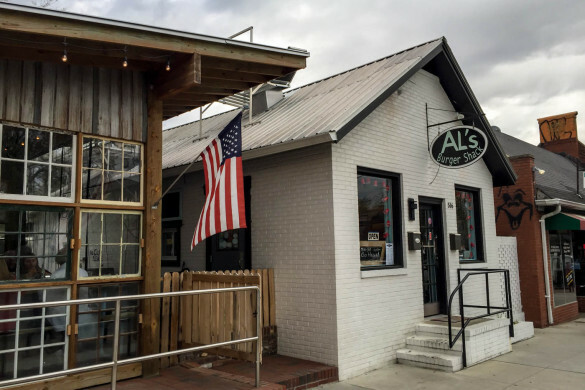 And you can find some awesome and unique food vendors there. 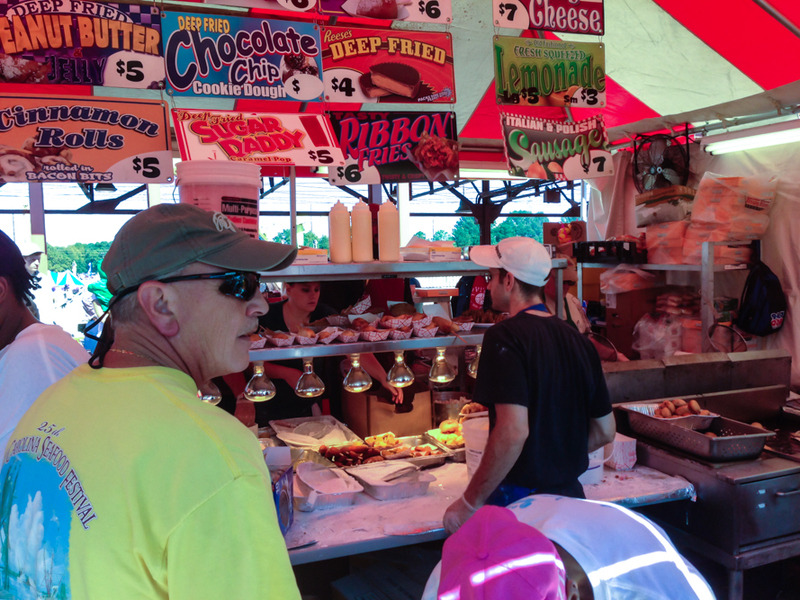 You have your usual pizza carts, burger trailers, and candy shacks at fairs, but sometimes you come across a vendor that serves food that really is not the norm. Such as exotic animal meat, candied insects, and of course deep fried everything. I say that because there is no limit to what these crazy food vendors will fry. They will fry candy bars, Oreos, cheesecake, mac & cheese, cinnamon rolls, pickles, fruit, and even Coke and Kool Aid. A deep fried cheeseburger of course! So this can go a few different ways. 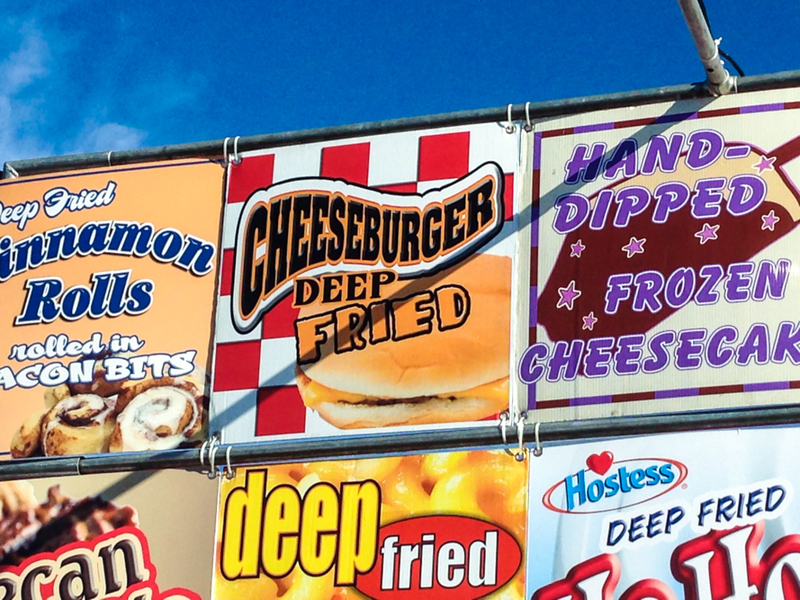 What really constitutes a deep fried cheeseburger? Is it just the meat patty that’s deep fried and then just stuck between two buns and regular burger toppings? 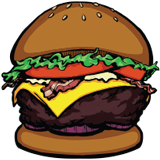 Do you create a whole cheeseburger first (bun lettuce, ketchup, cheese, tomato) and then dunk it in batter and then deep fry it? 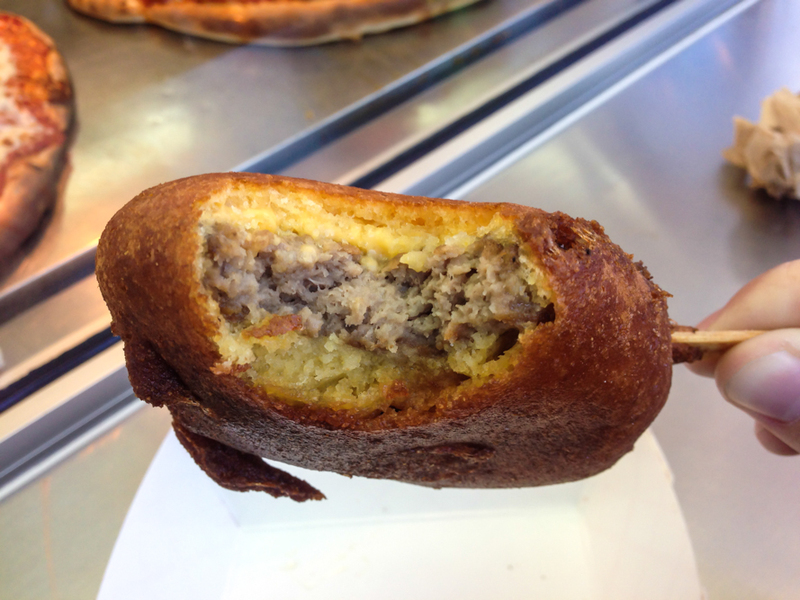 Or does the batter itself make the bun and inside is just a meat patty and cheese (kinda like a corn dog)? I tried peeking over the crowd to see if I could find out, but it was hard to tell. As I waited in line I didn’t know what to expect. It took a few minutes, but eventually I got to the front of the line and it was finally my turn to order. 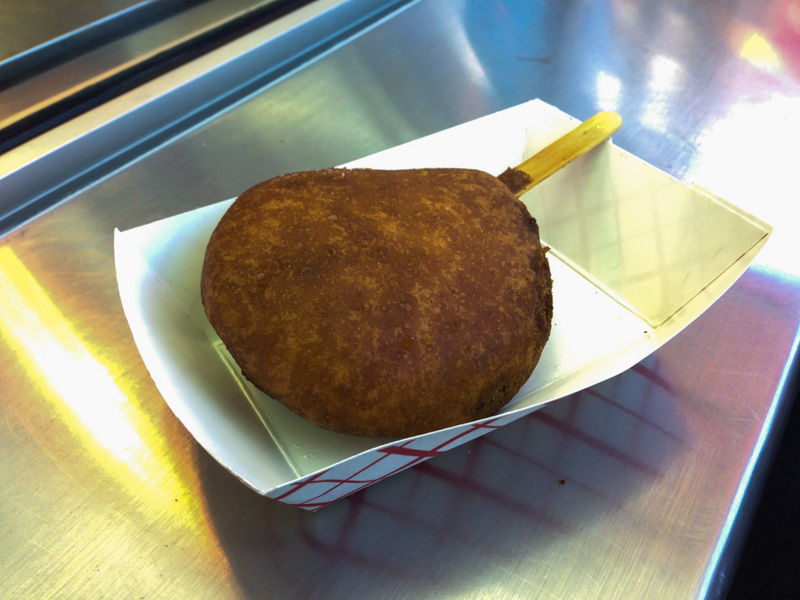 Might I note that I got quite a few stares when I ordered the deep fried cheeseburger from my fellow fair-goers. Even the lady that helped me asked, “Are you sure?”. I should have taken that as a bad sign but I ordered anyway. As you can see here, my theory of just the patty being fried was way off but I had two others that this could possible turn out to be. There could be a whole hamburger in there or it could just be a meat patty and some cheese. 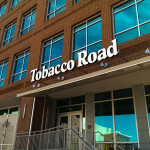 The only way to find out is to take a bite. So after a few calisthenic stretches, jumping around a bit, and asking some random girl to slap me, I was totally pumped up and I dove right in. Wow. I can’t believe you actually took a bite. Just a meat patty and some cheese. That was it. So exactly just like a corn dog. I felt a little let down. How was the Deep Fried Cheeseburger? Terrible. The patty itself tasted like it came from a grade school cafeteria (heck, it could have been a patty left over from the time I went to grade school the way it tasted) and I haven’t tasted cheese this bad since I was on a Destroyer sailing over to Iraq. The batter itself was deep fried way too long and I could hear my arteries clogging with a the grease that was packed in there. All in all, I think my life would have been better not eating this thing. I should have just kept its hope filled possibility of what it could have been locked away in my dreams.